(10-07-2018 10:03 PM)KevMo4UAB Wrote: We lost at Coastal Carolina, 47-24. We don’t deserve a vote. But what does KenPom say? (10-09-2018 12:35 PM)ATTALLABLAZE Wrote: yet we still received a vote. Looks like the voter doesn't give two ***** what he thinks. Of course not. That’s obvious. Agreed. It’s not the end of the world. Coastal is currently 3-2. Not exactly '17 Charlotte. We are 4-1 and will more than likely be 5-1 heading into Homecoming. I expect a huge crowd for Homecoming and am very excited about the mindset of our coaches and players. This will be another great season which will in turn snowball into next. Attendance will continue to grow. I am predicting 28,000+ for Homecoming after we put a beat down on Rice. Depending on the weather & our results from this weekend, it could be a really big crowd. 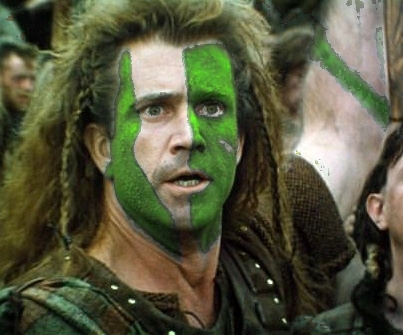 (10-10-2018 08:44 AM)GreenGiant67 Wrote: We are 4-1 and will more than likely be 5-1 heading into Homecoming. I expect a huge crowd for Homecoming and am very excited about the mindset of our coaches and players. This will be another great season which will in turn snowball into next. Attendance will continue to grow. I am predicting 28,000+ for Homecoming after we put a beat down on Rice. I agree. If we take care of business this week, the homecoming crowd should be great. A UNT win on Saturday would heighten the game's importance too. I hope they got the word out about the 10/10 $10 ticket flash sale, that is an incredible deal! I feel like if we win handily this week a 35,000 attendance weekend shouldn't be unreasonable to expect for Homecoming. (10-08-2018 12:14 PM)jaymay2525 Wrote: That 1 vote was probably Bill Clark, but I will take it! My bet is on the Rice or UNT coach voting for us. Wouldn't you rather lose to someone that is receiving votes? (10-10-2018 12:36 PM)Pavy78 Wrote: My bet is on the Rice or UNT coach voting for us. Wouldn't you rather lose to someone that is receiving votes? I'm betting on Saban, hoping to induce fatal apoplexy in Junior. My money is on his cholesterol doing that before Saban. Though, he probably gets sick of him like we do. If not, I'm sure he will when the grandkid arrives on campus and never hits the field as QB. I don't see UAB HC Clark "tooting his own horn" in this fashion. A future opponent's coach is a possibility thinking of bulletin board inspirational material. I think there is a more likely source -- an admiring coach who respects the job Clark and UAB have accomplished during "The Return" and the list of voting coaches has several possible suspects -- Terry Bowden who gave UAB its first D1 P5 game in 1996, Jimbo Fisher who considered the UAB job until blocked by the UA BOT, Jeff Brohm who passed through on his way to Louiville, Bobby Petrino who knows how hard it can be to come back from despair and maybe a few more who simply admire what Clark has attained so far. They screwed that up (not blazerjay). Navy is an AAC member in football, Patriot in most other sports. The timing of the promotion didn't work well for me. I have to work during the NT game but I have friends coming from out of town for a reunion. I'm hoping some of them might go to the game. I liked the promotion just didn't have enough time to get the message to those folks. Hope we have a great crowd. I will be able to get $8 tickets as a School of CAS alum (even though it technically for me at the time was NS&M). (10-13-2018 10:25 AM)the_blazerman Wrote: I will be able to get $8 tickets as a School of CAS alum (even though it technically for me at the time was NS&M).